John has a Scottish farming background, including many years as a Biodynamic dairy farmer in New Zealand. He returned to the UK in 1992 and settled into social work in Bristol. During this time he became interested in the works of Jung, dreams and the unconscious which resulted in sculptures in clay to help facilitate and give expression to his inner alchemical processes. This period lasted for three years, simply making clay sculptures as the mood took him. 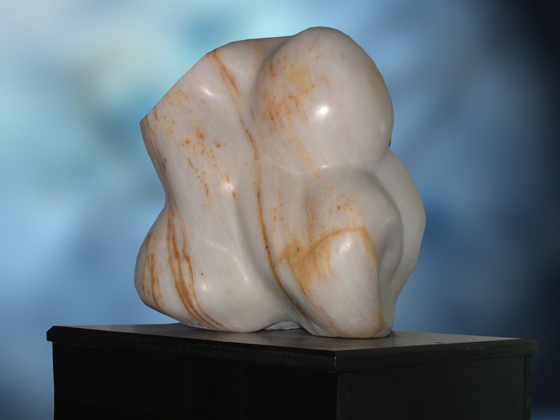 The marble sculpture called "Being Born" was donated to the museum in 2000. It was the first sculpture that John made on the island. 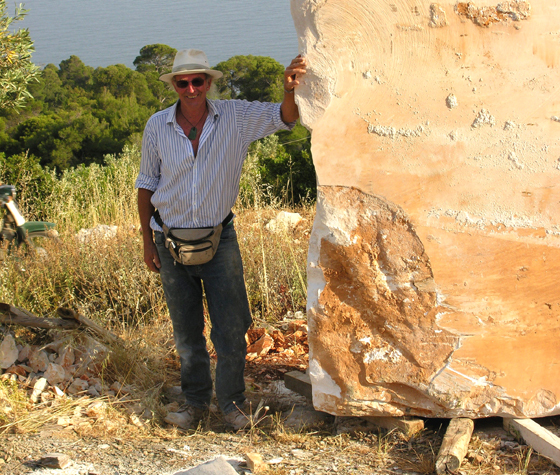 In 2006 the Alonissos Museumo invited John to exhibit his sculptures in the museum. 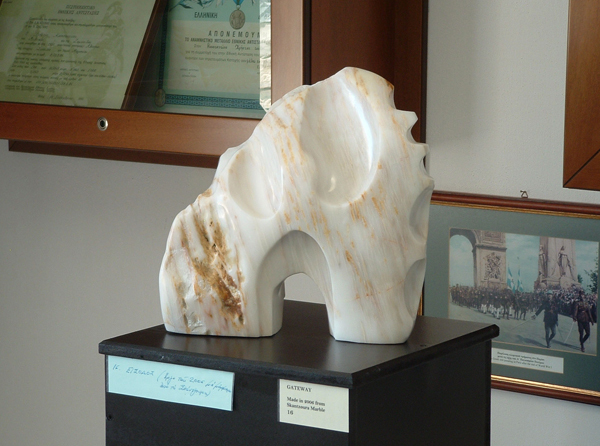 Twenty marble sculptures were on display, the majority in marble from Italy and Greece, including several pieces made from the local marble from the small island of Skantzoura. The 2006 exhibition was his first major exhibition on the island, with 3000 visitors to the museum. Due to this success the Museum decided to repeat the exhibition in 2007.